I wanted to write a little guide to some of the beaches we had visited on our recent trip to the Ceredigion area of Wales. We went with our son and two dogs, so beforehand we had tried to do a little research on which beaches would be best suited for us. Of course not all let the dogs on, which is fine but it was actually better than what we had anticipated and all but a couple had an area where the dogs could enjoy too. We did drive to all the beaches and at least take a look or perhaps to find an area nearby to walk instead like we did at Mwnt. 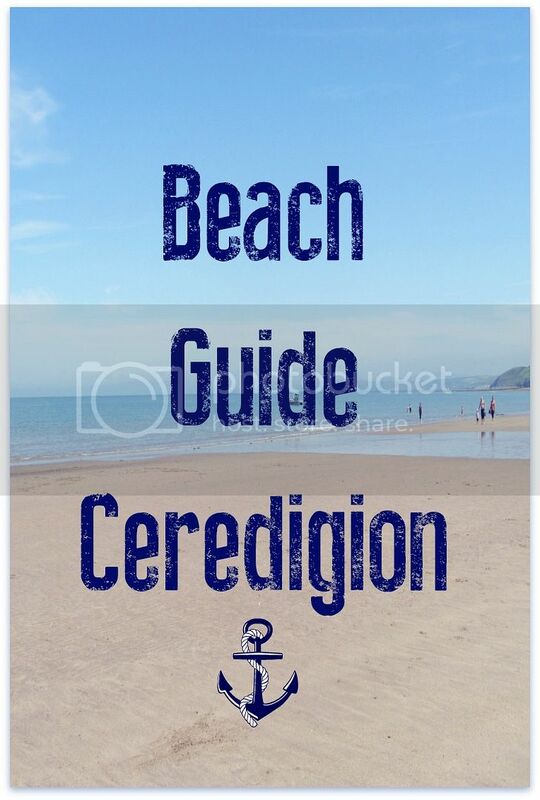 Here is my little Beach Guide to Ceredigion. I hope it helps anybody planning on visiting or perhaps introduces you to the area and inspires you to visit this area of astounding beauty. I'll eventually be writing about most of the areas individually as I took so many photos that I'd like to share with you and there are many more tales to tell. I love Ceredigion so much! 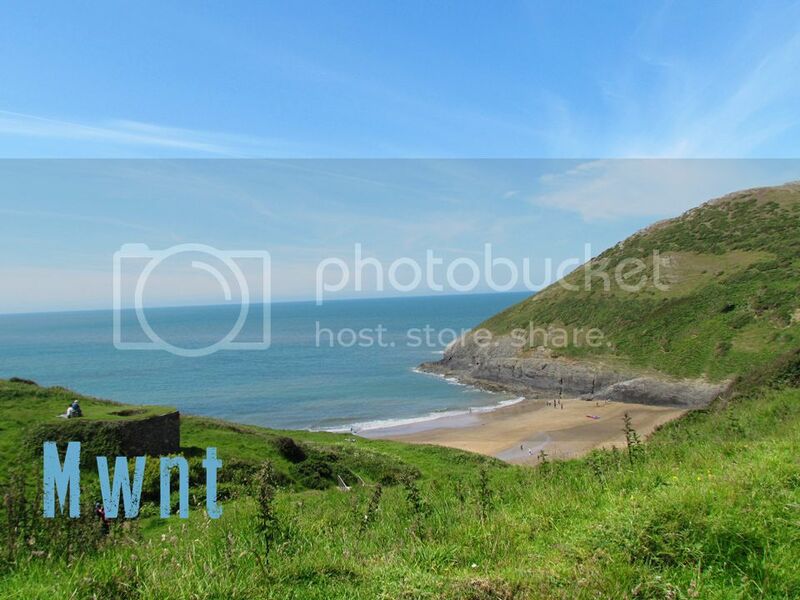 A few miles away from Cardigan down narrow foxglove lined lanes you will find a spectacular beach at Mwnt. Park on the hillside - National Trust so there is a pay and display and then wander down to the secluded beach. Unfortunately dogs are not allowed on this beach from May to September but there are some great coastal walks from the car park where they are very welcome on leads. By the car park there is a little white chapel that is a 14th Century sailors' chapel of ease and I'll be writing about this on a future post and about the walk we took the dogs on. So even though we didn't get to go on the beach, we had some unforgettable views of the bay and I will return here one day. There is a small shop and toilets so good to stop off for a refreshment break. I saw plenty of people taking cute picnic baskets down to the beach or stopping on the grassy hills for a bite to eat. Super gem of a place and spotless aside from the sheep poo but I don't mind that at all. 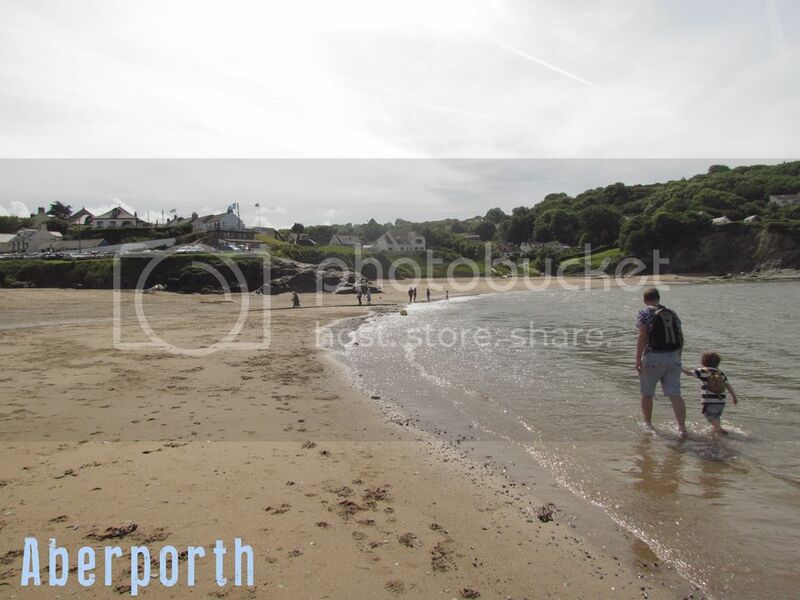 Aberporth is a wide sandy beach accessed down a reasonably steep ramp from the car park at the top. 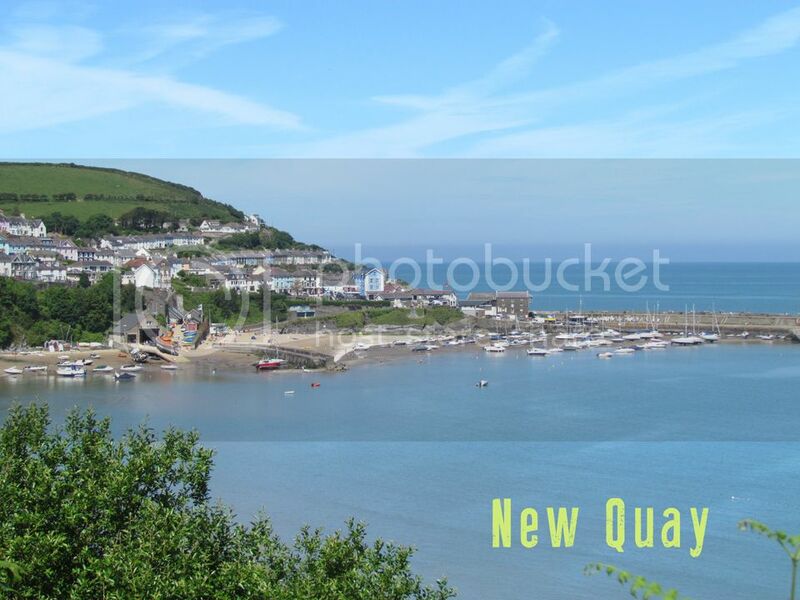 The car park has great views across the bay and it's a £3 to park which you pop into the honesty box. There's an outside shower to clean yourself of sand and a small cafe where you can get an cup of coffee and ice cream. The people were very friendly and a man who was using some sort of water sports club house was leaving out water for any dogs to have a drink. It was a very family orientated beach with many doing water sports such as canoeing and paddle surfing. Parts of the beach have rock pools to explore at low tide; the water is amazingly clear. There is a stream (Nant Howni) that trickles all the way down the wide beach which was a lot of fun to walk up and splash in. Dogs are allowed on one part of the beach so big thumbs up for us. 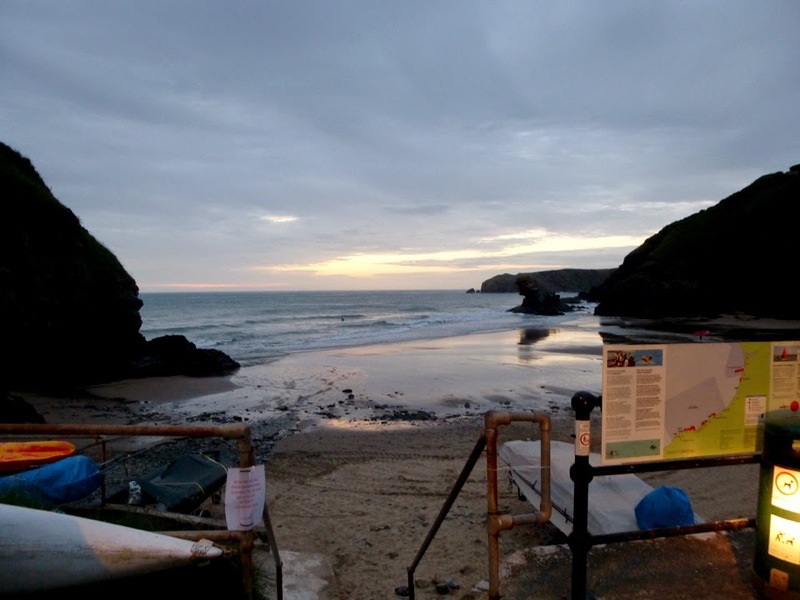 We found the secluded coastal village of LLangrannog one evening after exploring narrow twilight country lanes with bats flying overhead. Sadly we didn't go back in the daytime, despite it being so mesmerizing beautiful and quaint, dogs are not allowed on any part of the beach during the summer season so we picked other places to go to. I am sort of pleased we didn't go back. This visit as the sun was setting has stayed in my mind as a magical place and I look back on our fleeting visit with an air of mystery to come. I will return, I will eat in the restaurant here and I will sip a drink at dusk on a little chair outside the pub. The rock formation 'Carreg Bica', is a giant's tooth as legend tells. You could well believe that here. Magic is around, I tell you. You will feel it. The village apparently has a waterfall in the middle of it - wish I'd have seen it and the beach looked popular with surfers who were walking back across the sands as night started to fall. You could fall in love here. 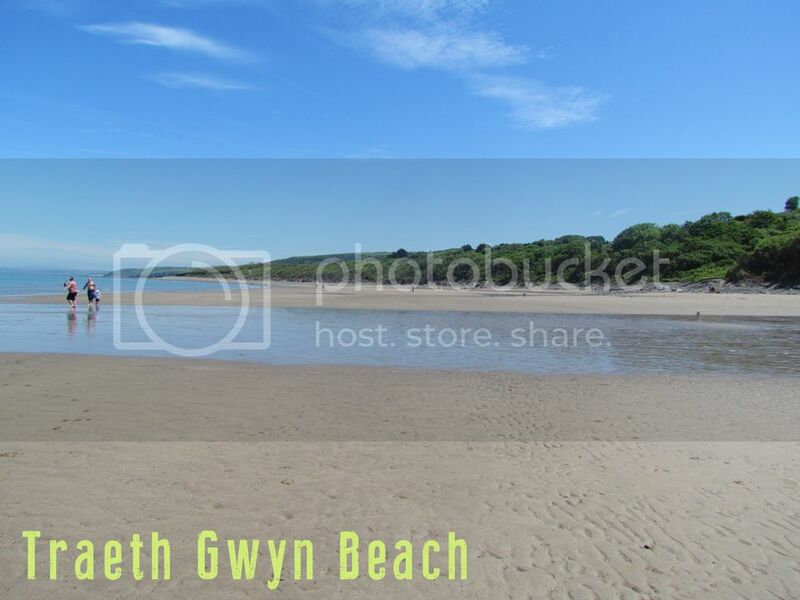 We stayed in the New Quay Bay area at a caravan site that had access onto Traeth Gwyn. 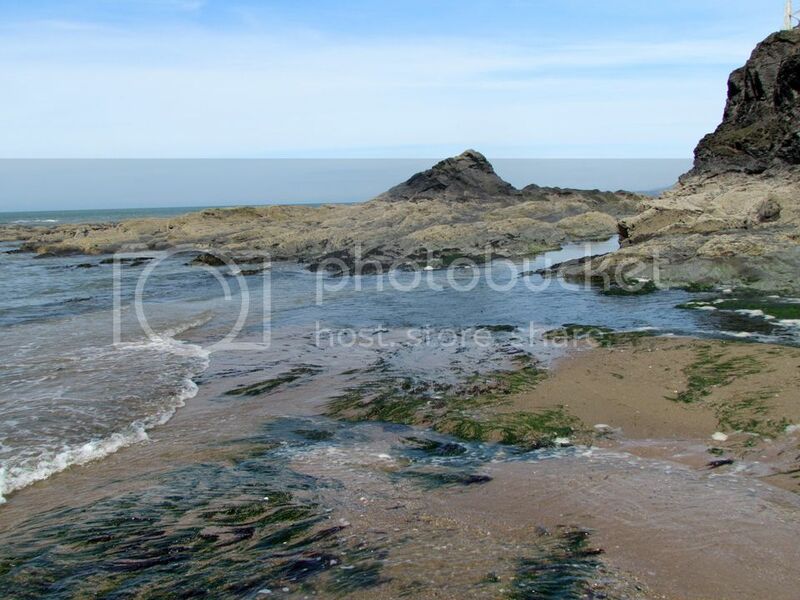 This beach leads into New Quay - you can walk along the beach at low tide or there is a coastal path with fabulous views of the whole bay. In New Quay itself, dogs are allowed on some parts of the beach - plenty of space for them to run around and for the parts they aren't allowed, there is a walk on the harbour instead or along the sea front. Bustling with fishing boats and wildlife tours - keep your eyes peeled for dolphins. The scenery is perfect with pretty pastel houses and to me it was the perfect resort. Not gaudy, just perfect. Some pleasant eateries and a few souvenir shops for the obligatory fridge magnet purchase. Parking can be a bit tricky - there's a pay & display near the beach that gets quite busy or you can park at the top of the village and walk down the hill (it's a bit steep!). 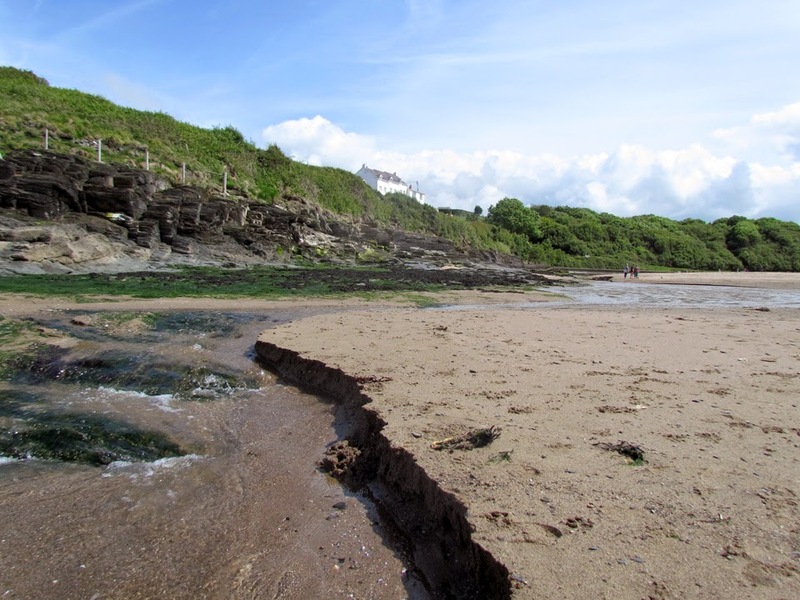 Loved the flat sands of Traeth Gwyn in particular and the streams that ran across the beach. A very interesting area to explore and appreciate the natural and geographical significance. The Haven site, Quay West leads onto this beach with its many nature walks and cascading waterfalls of the Afon Halen. 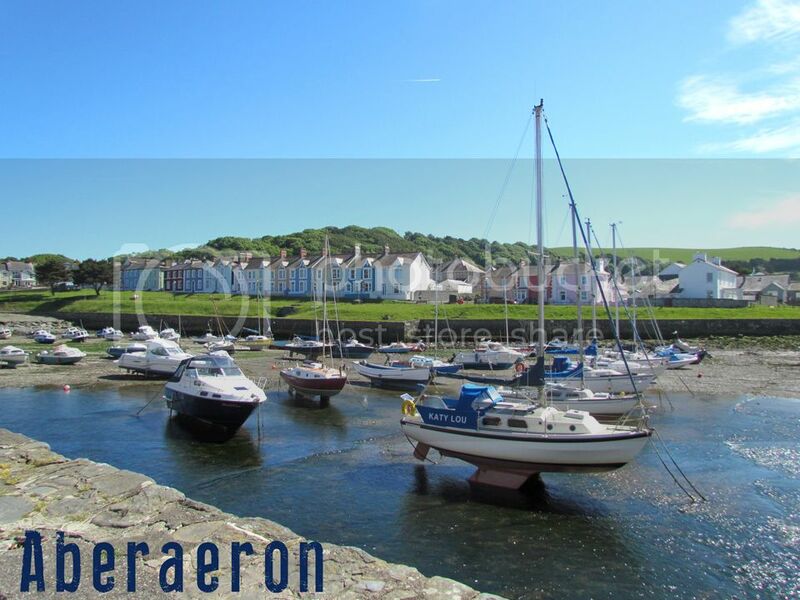 Further up the west coast from New Quay is a foodie heaven, Aberaeron. Pretty pastel Georgian style houses, streets filled with bunting, a local honey connection (have the honey ice cream) and many restaurants. This harbour town with its pleasant seaside food made me want to eat fish and I've been a vegetarian since I was at primary school. I resisted. The beaches are pebbly and in fact we didn't go on it and chose to walk around the harbour instead looking at the boats. The dogs enjoyed that, sniffing around and I think the pebbles on the beach would have been hard for my older dog Tara to walk across. There's a lot of car parking (mostly pay and display) and then a promenade to walk along that leads to the harbour. It's worth mentioning that the annual Cardigan Bay Seafood Festival is held in July every year. 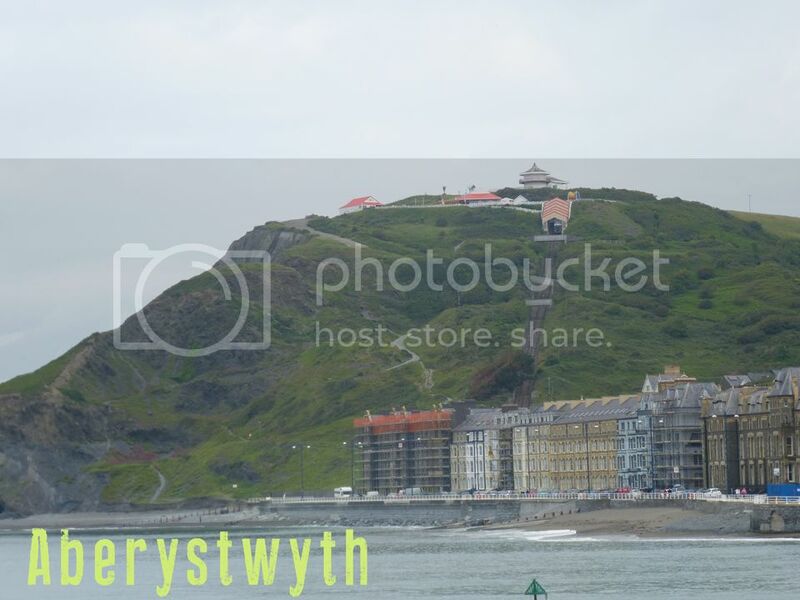 A little bit in a state of rebuild after taking a battering during the winter storms, Aberystwyth is the quintessential seaside resort with a pier, arcades, donkey rideas, slightly shabby Victorian façades and a whole host of things to see and do in the summer. Plenty of parking on the sea front and a lovely mile long walk from one end to the other, from Constitution Hill and its cliff railway and then at the other end of the prom is Aberystwyth Castle. There was a lot of building work going on so some attractions which were crumbled by the mighty waves, like the open air pool, will hopefully be back up and running for the approaching summer season. Finally Borth, right at the top of the Ceredigion coast line. We stopped here for a quick look on our journey home and the tide was still in so there was just a narrow strip of pebbles. At low tide an ancient sunken forest is revealed on the north beach. I had seen this on an episode of Coast and it was fascinating but not as fascinating as Neil Oliver's hair. A very long stretch of beach and the village road running parallel has some shops and cafes which to me had an arty air about them. Unfortunately most did not seem to be open on the cloudy Monday morning we were passing through. Very quiet but would love to explore this area more, especially to see the ancient forest so if you love your geography, this is an area for you. 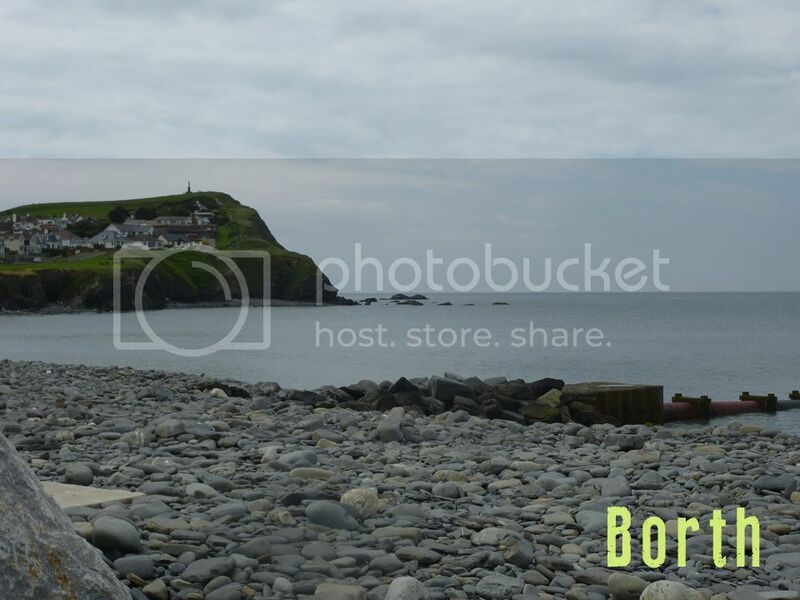 Apparently Morrissey wrote "Everyday Is Like Sunday" inspired by Borth! So that's my Manchester connection then. 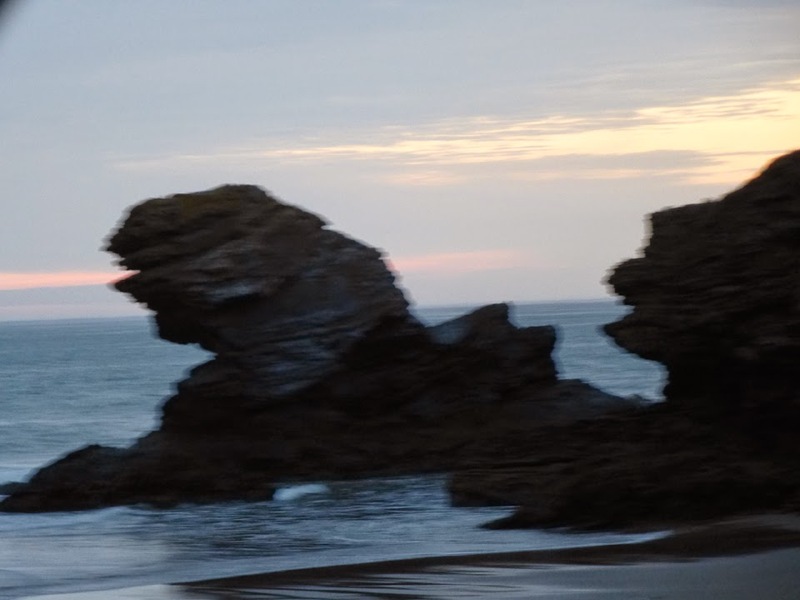 Thank you for reading my little review of the beaches we visited in Ceredigion. 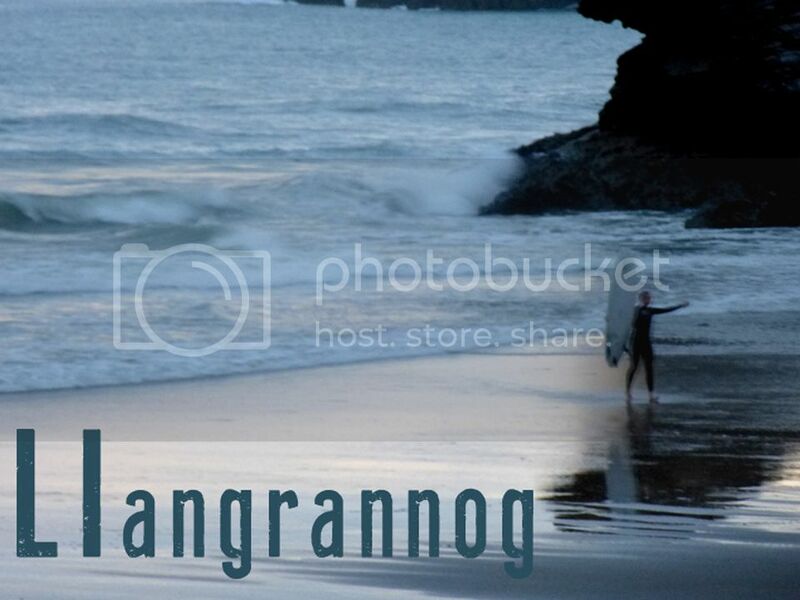 Originally I had included a wonderful sand dune and beach area called Poppit Sands but I then learnt it was classed as Pembrokeshire so will write about this separately. Would love to hear of any recommendations for this area- beaches, restaurants or shops, places of geographical interest.